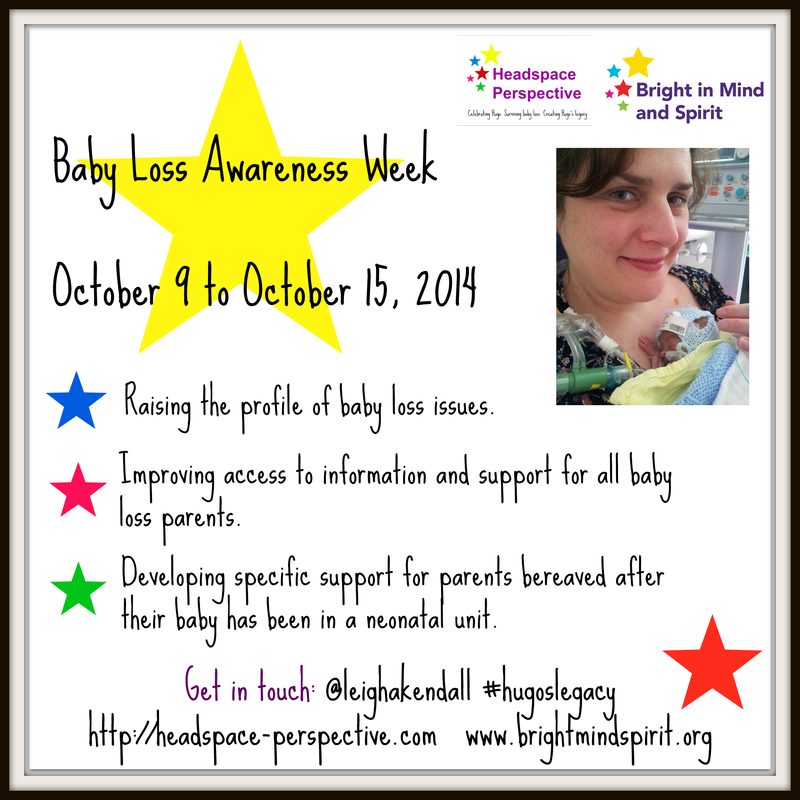 Baby loss awareness week is next month: October 9 to October 15. I am making plans about using my blog to raise awareness of a range of issues during that week – and I’d like to ask for your help. My son Hugo was born 16 weeks prematurely because I had the life-threatening pregnancy conditions HELLP syndrome and pre-eclampsia. 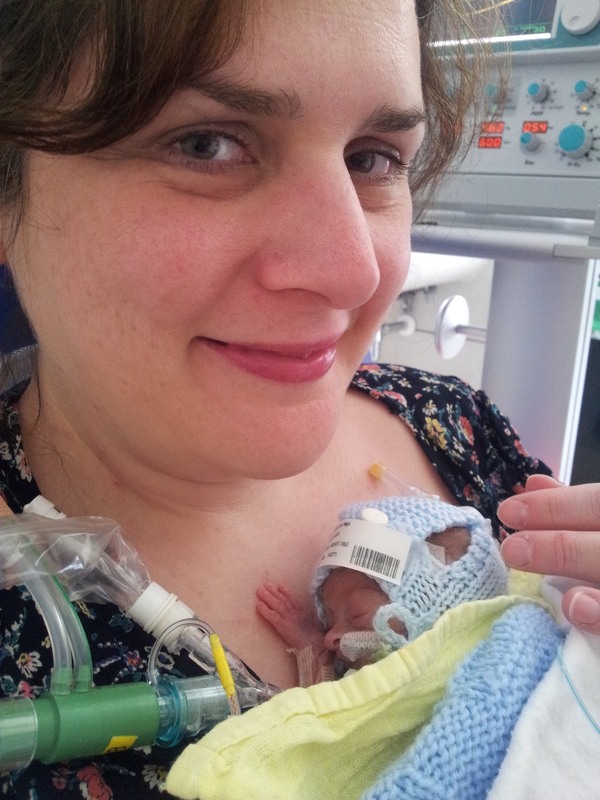 My beautiful boy fought so hard, but died in my arms at the age of 35 days. Everything possible was done to save Hugo’s life. Sadly, he was too small, and too premature. There were, however, areas of both mine and Hugo’s care that could have been better. These issues were around communication – there were occasions where stresses could have been avoided if there had been better interaction between staff, or if we had been provided with more suitable written information. Effective communication is something I am passionate about, for the benefit of patients – I have worked in the profession within the NHS for several years. After Hugo’s death, I felt a real drive to make a legacy for him. A way for Hugo to make a difference to others, and for his name to live on. A way for Hugo’s life not to have been in vain. I created Bright in Mind and Spirit (it’s what Hugo’s name means) to raise awareness of the importance of good communication between health professionals and between health professionals and patients. I would like to advocate for change, to improve services and to help others. During Baby Loss Awareness Week, I would like to share the experiences of other bereaved parents (both mothers and fathers) around communication issues. – What did you think of written information you were given? Was it good, and easy to understand? Or could it have been better, and if so, how? – How did you feel about the way staff spoke to you? Did they speak to you using words you could understand, did they answer your questions to your satisfaction, and did you feel involved in decision about your (where appropriate) and your baby’s care? – Were you directed to appropriate support to help you deal with your loss (if you felt like you needed it)? Please send your feedback to headspace-perspective@outlook.com, by October 1. You can also tweet me – @leighakendall. If you would prefer personal details, including the name of the hospital/healthcare provider to not be included, please let me know and I will make sure these are removed to make sure you and your story are not identifiable. 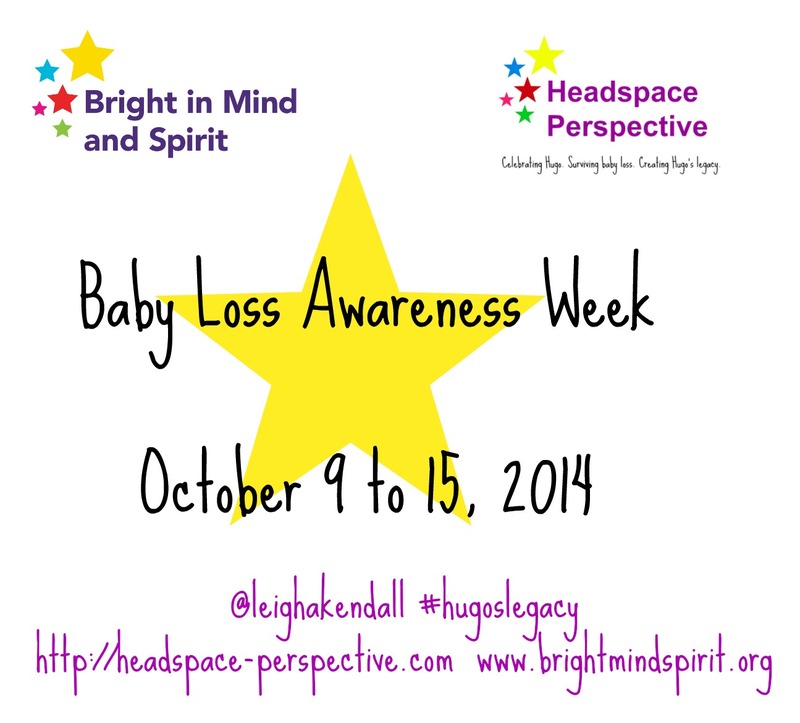 The week will focus on raising awareness of the importance of effective communication for all forms of baby loss. I am aware many improvements are needed across the board to help make this devastating time for any parent a tiny bit easier. As you’ll see from the poster below, I also intend to have a particular focus on the loss of babies on a neonatal unit. This focus is because it relates to my personal experience with Hugo. There simply isn’t any support targeted at this group of bereaved parents. Support for parents who have lost a baby on a neonatal unit is often ‘tacked on’ to the end of other baby loss information, or is included amongst advice about the loss of older babies and children. Any way a baby dies is, of course tragic – but we parents of lost neonatal unit babies do need support that meets our particular needs. We need specific advice and support after that ‘rollercoaster’ of emotions during that journey: the frustration of parenting through a plastic box, the hope that your baby may be a success story and the intense pain when they are not. That is not to mention the torture of wondering whether you made the right decisions; recovering from the exhaustion, and flashbacks to things like the beeping machines. The information my partner and I received after Hugo’s death was inadequate and unhelpful. I fed back to the hospital where he was cared for, and was pleased to be invited to the unit’s bereavement meeting to talk about my experiences – they were very receptive to my feedback, and keen to make improvements wherever they can. I have also designed a new piece of information for them – I will share it when it is ready to be launched. Of course, we cannot change everything during the course of Baby Loss Awareness Week. But what I can do through my blog, and as part of Hugo’s Legacy is share our experiences – the good practice as well as the areas that could be improved. My blog is read by and shared with staff throughout the NHS – within both the national organisations, and individual hospitals. I will be using your feedback to highlight the areas of good practice – by sharing them, we can seek to duplicate them elsewhere. I will also emphasise what needs to be improved – and suggest what can be done to make those improvements. Effective communication often costs nothing (or a minimal amount). It’s often only after giving our feedback that healthcare providers are able to reflect, see things differently – and make necessary changes that benefit others. By speaking out, we can raise awareness of these issues, and help make the worst time of a parent’s life that little bit easier. I do hope you will join me. You do not have to be a member of this exclusive club that no one wants to join in order to take part – anyone who has been affected by the death of a baby can feed back about communications issues. You can also help by sharing this post, especially with those who may have feedback to give. Thank you. I look forward to hearing from you, and helping other bereaved parents in Hugo’s name. This sounds like an good idea. 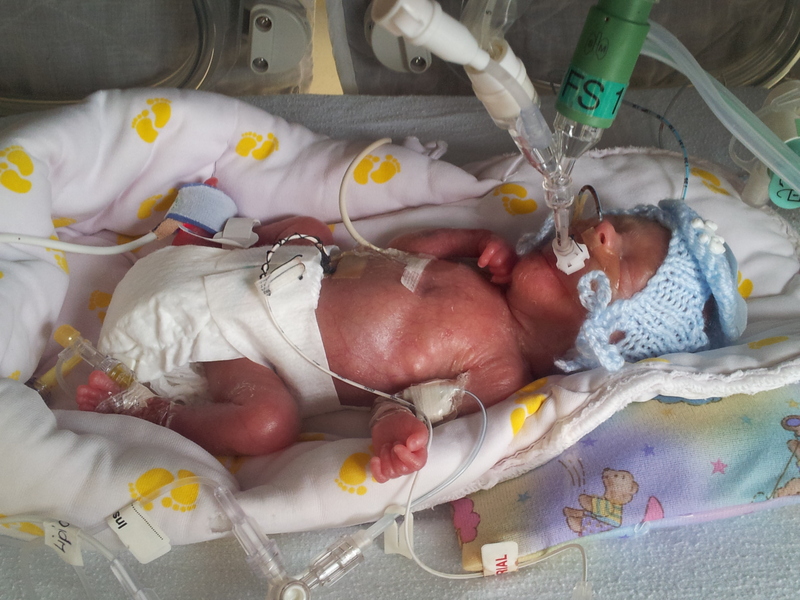 I had a stillborn baby boy called Callum at 42 weeks. There was absolutely nothing wrong with him. It’ll be 2 years since we said goodbye at the beginning of Oct and I’m happy to share our experiences if it helps. I hope you don’t mind – I’ve shared this post with a friend who is a NICU nursery nurse, in case she knows anyone who might be able to help. This is a brilliant idea. I am not a parent, but the oldest surviving child of a mother who had two stillbirths/newborn losses I don’t know and two miscarriages. I survived premature birth, but even so communication could’ve been improved. For one thing, my parents were bluntly told off when they questioned my quality of life. The whole fact that I was a preemie was due to lack of communication between doctors, because there was a way to prevent premature delivery for my mother but the professor didn’t get the memo from the young doctor who knew about this measure, or he didn’t listen. I am truly looking forward to knowing what you and yoru readers have to say. It is sad when a baby loses their life, so if this can be prevented in the future, or if not, the support for bereaved parents can be improved, this is great.